Pumpkin spice. It is the official flavor of fall. And the pumpkin spice latte is so popular that it has it’s own abbreviated hashtag. #PSL I love a good PSL, what I don’t love is when I dump the entire thing upside down in the magical minivan. I wish I could blame this one on the kids, but it was all my fault! I have no less than 7 cup holders within my reach and the majority of them are usually full of old cups at any given time. The other day I sat my PSL in the tray in between the seats and started to clear cups out of the cupholder. At some point in this process my Bacon and Gouda breakfast sandwich tipped the latte upside down and unbeknownst to me the warm brown liquid quickly pooled into every tiny crevice it could reach. I freaked of course. My trusty paper towels live in the far back of the van so I grabbed the closest absorbent thing I could reach and mopped up the mess with two pull up diapers. A diaper soaked with pumpkin spice latte looks nasty ya’ll. 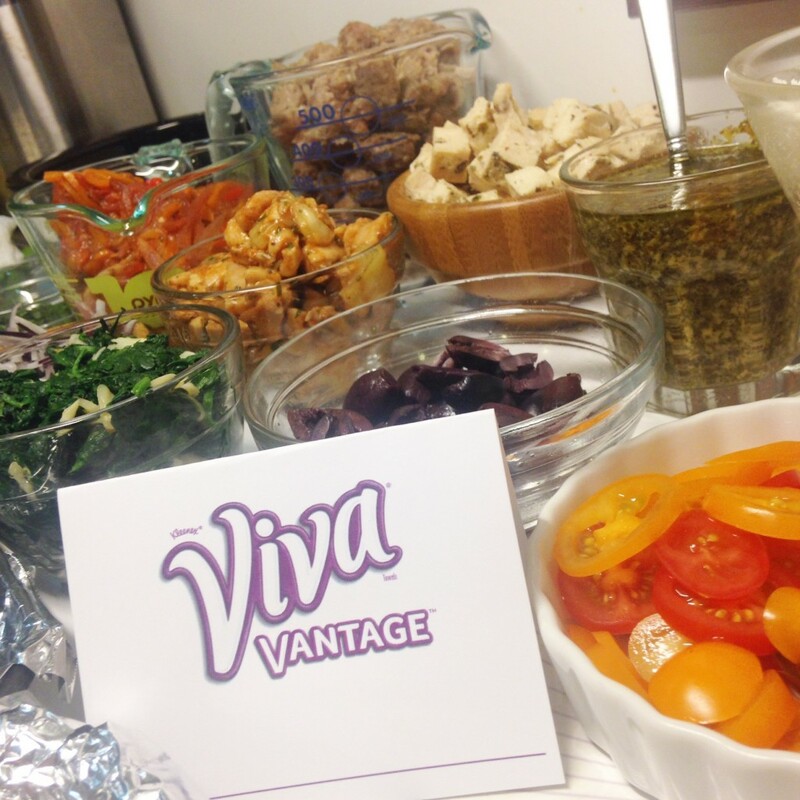 I am teaming up with Viva® Vantage® today to share some amazing tips I learned at an event last week. I was asked to take the 7 Day Switch Up and replace my regular towels with Viva® Vantage® towels they gave me. My favorite tip I learned was how some people cut paper towel rolls in half to store in the car! Brilliant! We were challenged to take a 7DaySwitchUp and replace our usual towels with a roll ofViva® Vantage®. With my new found tips in tow I headed over to Pinterest and found some great tutorials for making armor-all wipes! 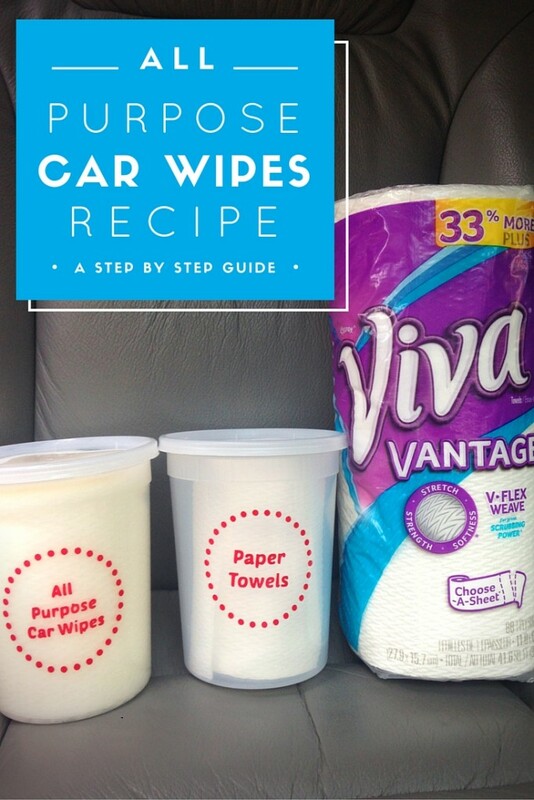 I played around with some of the recipes and have created an all purpose wipe mixture for the car (recipe is below)! Using these plastic containers I purchased recently to organize the art cabinet I grabbed a knife and a roll ofViva® Vantage® and a half roll fit perfectly! I used one container for plain dry Viva® Vantage® towels and the other I filled with the all purpose solution. 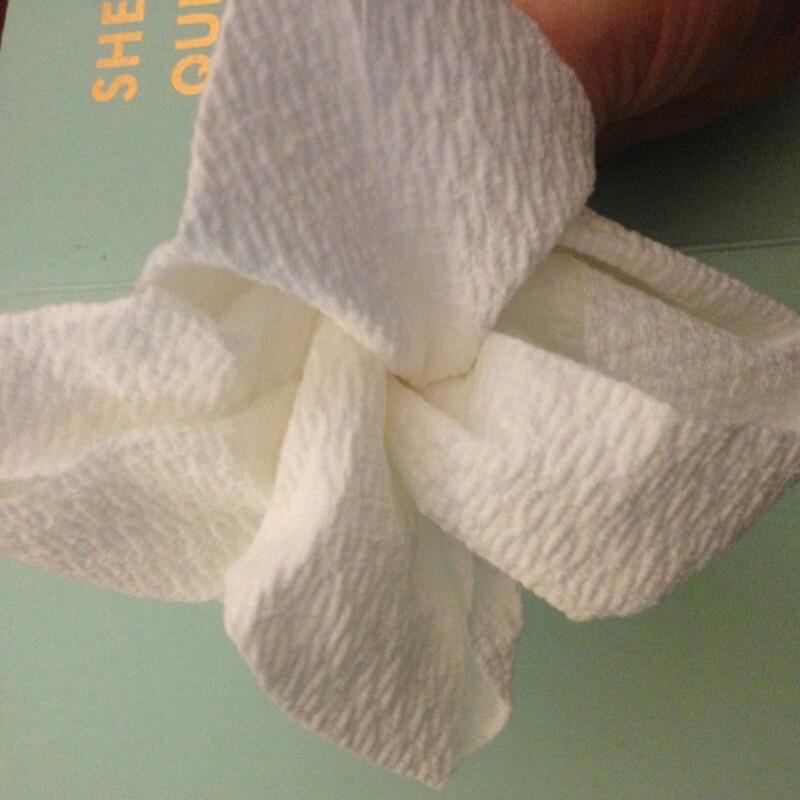 For the last week I have had WAY too many chances to try theViva® Vantage® towels out. 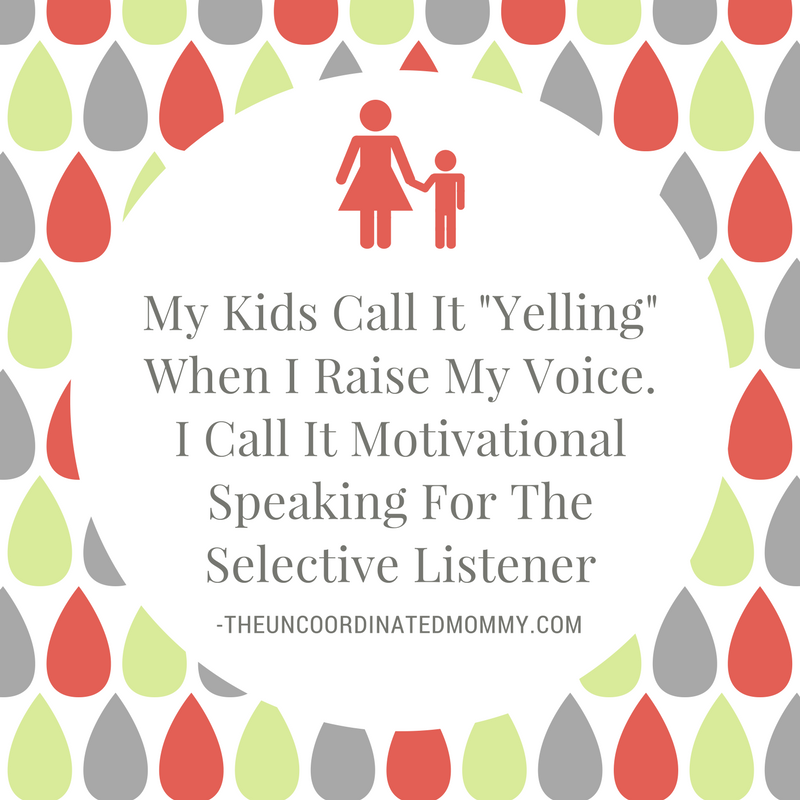 I still had PSL to clean up and then add in sticky faces and a potty training three year old (eww) I can attest that they can really stand up to any test! 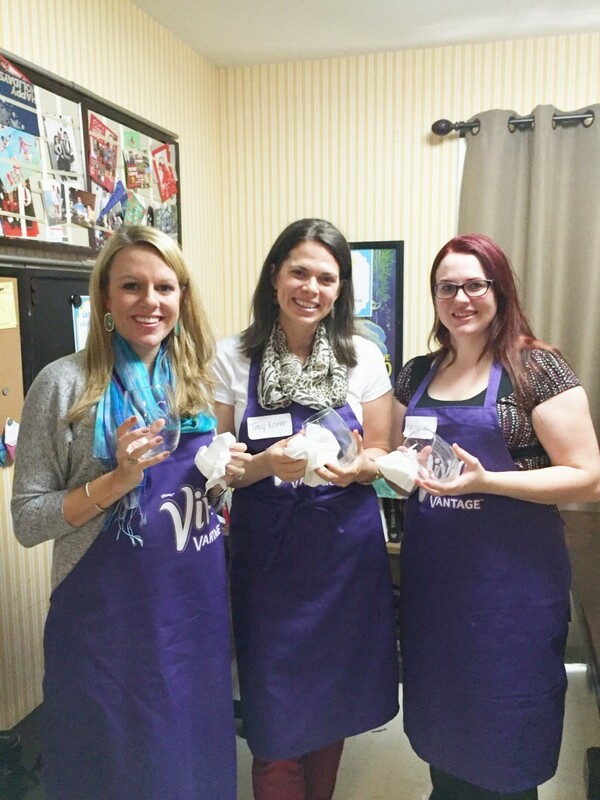 My favorite thing about the Viva® Vantage® towels is their stretchy strength! I can scrub the cloth floor mats and they don’t tear. I can even rinse them out and re-use them. 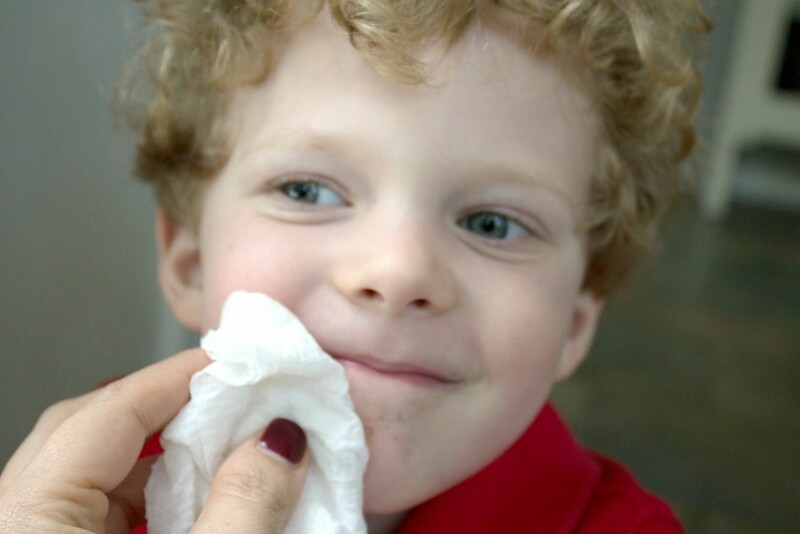 They have great scrubbing power but once wet they are soft and gentle enough to use on the boys! It takes scrubbing to a whole new level! 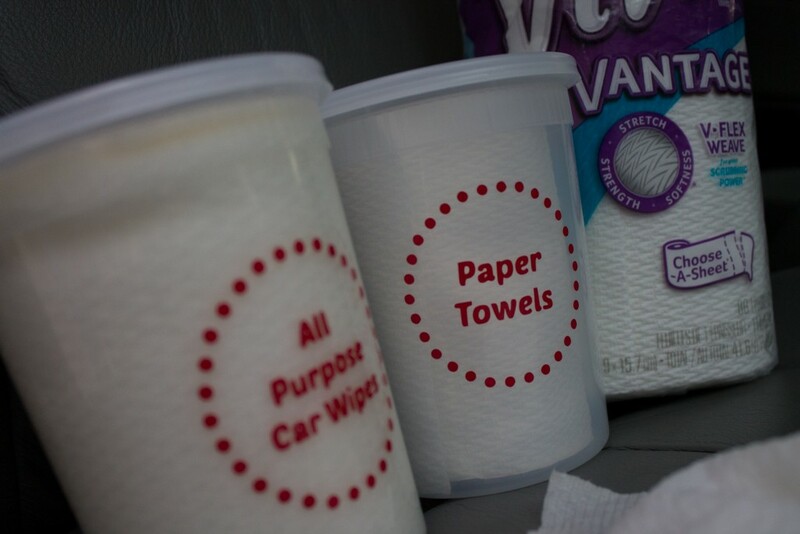 The instructions for the All Purpose Car Wipes are super easy and you probably have most of the ingredients at home! Mix the ingredients together and pour into a container with half a roll of Viva® Vantage® towels. When you cut your towels in half make sure to use a sharp knife an be careful! Let the solution sit and then drain out excess. We have enough spilling happening in our car, we don’t need to add cleaning solution to that list. The cardboard center of the roll will separate and lift out easily allowing you to pull towels from the inside! *I placed the other half of the roll dry in another container to prevent it from rolling around the car. You can reach a finger in the roll and separate the cardboard center from the towels and slide it out making it easy to grab towels from the center. In hind sight I should probably try harder to keep my car clean to prevent accidents like this from happening. But my take away from this situation is that I need cleaning items in the front seat now. 🙂 Let’s get real, this won’t be the last time this happens. At first I tucked a roll under the console but the problem with this is that rolls, roll. It was constantly unraveling. Now with these two containers in my door I am prepared for any mess that comes my way! Now I’m challenging you to take the 7DaySwitchUp! Swap out your current brand and give Viva® Vantage® a try, get a coupon here! Once you’ve given it a try you can head back and dish about your switch and enter for a chance to win a $100 gift card. ❮ ❮ How to Make Cake Pops: For the Crafty Mom Who’s Short On Time!